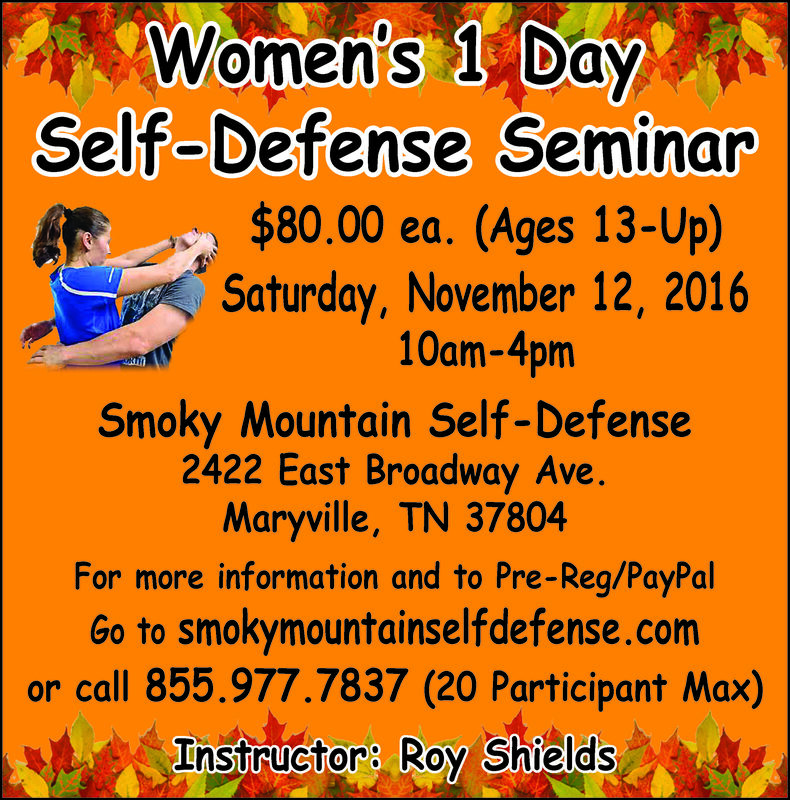 Join Smoky Mountain Self-Defense for a Day of EMPOWERMENT at our “No More Victims” Women’s Self-Defense Seminar on Saturday, November 12, 2016 10:00am-4:00pm. This seminar is offered to females ages 13-Up, and the cost is $80.00 each. Reward yourself with the skillset and mindset to stay safe by preregistering today!